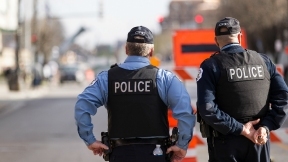 In support of demands for greater police accountability in Chicago and nationwide, Illinois nonprofit The Lucy Parsons Labs is launching “OpenOversight,” an interactive web tool that makes it easier for Chicago residents to file complaints against police officers. Using OpenOversight, members of the public can search for the names and badge numbers of Chicago police they have negative interactions with based on where that interaction took place and the officer’s estimated age, race and gender. Using this information, the OpenOversight web application returns a digital gallery of potential matches and, when possible, includes pictures of officers in uniform to assist in identification. “The deck is stacked against people harmed by Chicago police,” says Jennifer Helsby, CTO of the Lucy Parsons Labs and lead developer on the OpenOversight project. “Despite a long history of proven abuses, including torture, Chicago police are almost never held accountable for misconduct or crimes they commit. To file a misconduct complaint, the burden is on the public to provide as much detailed data about the officer as possible. OpenOversight aims to empower Chicagoans with tools that make it easier to identify officers and hold them accountable.” OpenOversight is released as free and open source software so others can launch similar police accountability projects in their own cities. The software is available for download on GitHub. https://github.com/lucyparsons/OpenOversight. Lucy Parsons Labs is a Chicago-based collaboration between data scientists, transparency activists and technologists focused on the intersection of digital rights and on-the-streets issues. Projects include FOIA investigations into police spending, data analysis projects, and public workshops on digital security. We are a transparency non-profit that seeks to engage our community around digital rights issues, supporting free and open source projects and seeking the free flow of information.